This is a very solid 2 person business situated in one of the busiest tourist towns on the Daylesford Foodies Trail. The business can be operated on most occasions by 1 person, but having back up for a couple of hours each week is very handy. The business is a 1 Terminal Tatts Agency in a town with a population around 1400 people. The business shows an adjusted net profit of around $145,000 p.a and the Tatts commission is $38,000 and growing steadily. This is a very progressive tourist area and being just on an hour from Melbourne offers a great lifestyle environment. 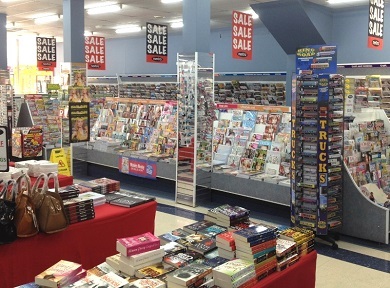 Colossal Agency - Double shop with huge shop sales for excellent cash flow Tatts Commission $190K plus for the full year. Up to date Tatts Shop fit just completed. Tatts Agency and associated lines - ideal for Tarneit area buyers. A beautifully presented Agency with a Tatts income in excess of $125K per annum and high profit retail lines. Easily operated by 1 person with part-time help. This business is in a rapidly growing area. New Tatts shop-fit, busy city edge position, 1brdm apartment included. Can be operated in the most part by a single operator.